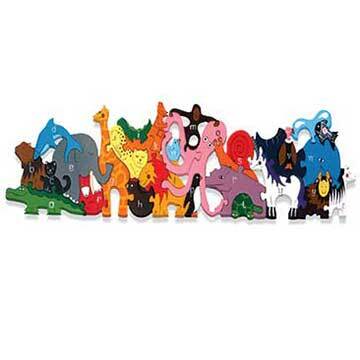 This brightly coloured construction themed wooden jigsaw puzzle is an ideal way to help teach your child the alphabet, all twenty-six handcrafted pieces are lettered, meaning that kids can’t help learning whilst they are playing. 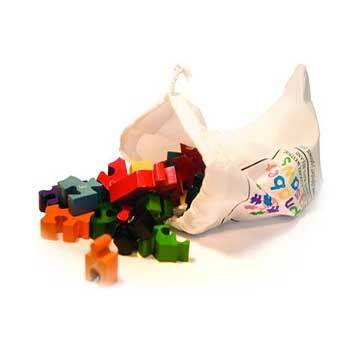 Comes packaged in a beautiful presentation box and included is a drawstring cotton bag for storage after play. Perfect educational gift for children. 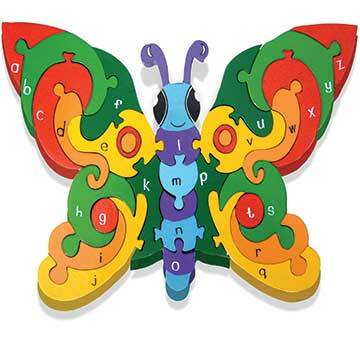 This beautifully handcrafted alphabet digger wooden jigsaw puzzle is perfect for children that are beginning to learn the alphabet. 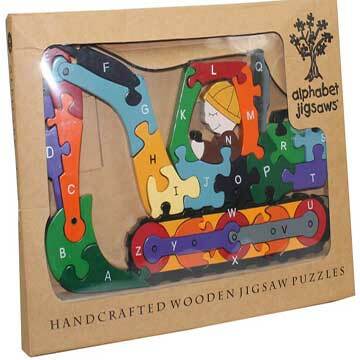 This digger wooden jigsaw puzzle is hand cut and hand painted. 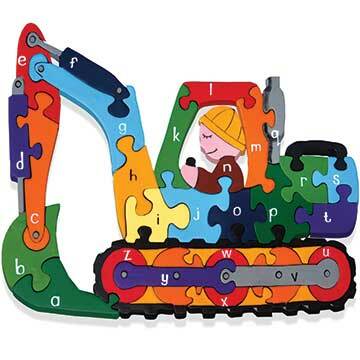 The pieces of this jigsaw are individually shaped to create a full digger shaped puzzle and featuring each different letter from A-Z. Children will learn the sequence of the alphabet as they slot each chunky interlocking piece together to form the digger. An educational jigsaw, good for hand to eye co-ordination skills. Perfect educational gift for children. 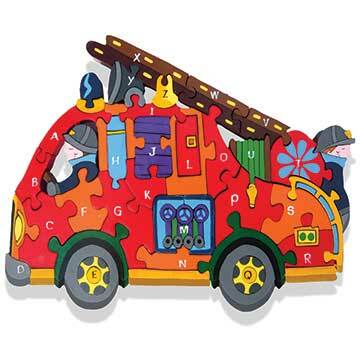 Make learning fun with this beautiful, handcrafted, Irish design alphabet Digger wooden jigsaw puzzle from Alphabet Jigsaws. Recommend Age:- For children from age 3 up to 10 year of age. Boxed Product: – Packaged in a beautiful cardboard presentation box. Recycled cardboard is used for the packaging. All paints and primers used are child safe and non toxic. All the wood is sourced from sustainable growth forests. This Jigsaw meets all the required European safety standards and bears the CE mark. Irish design wooden jigsaw puzzle.